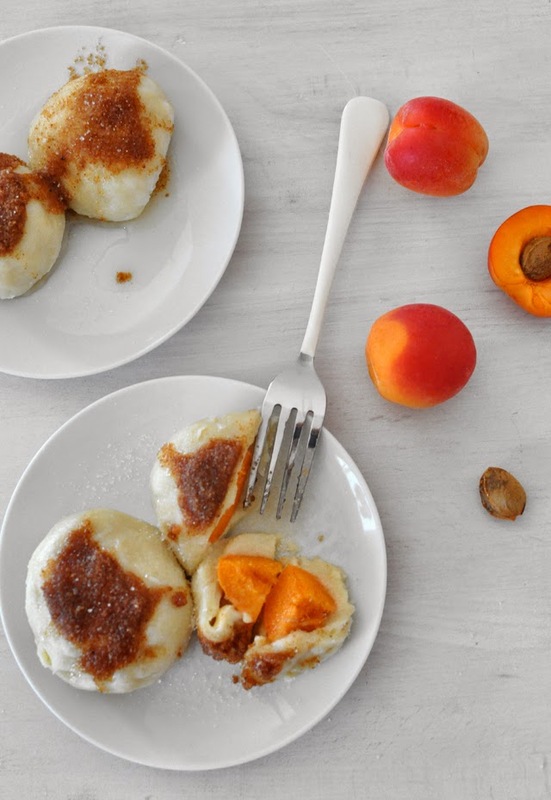 Summer gives us beautiful plums and apricots and one of my favorite ways to enjoy them is in traditional Croatian dumplings. 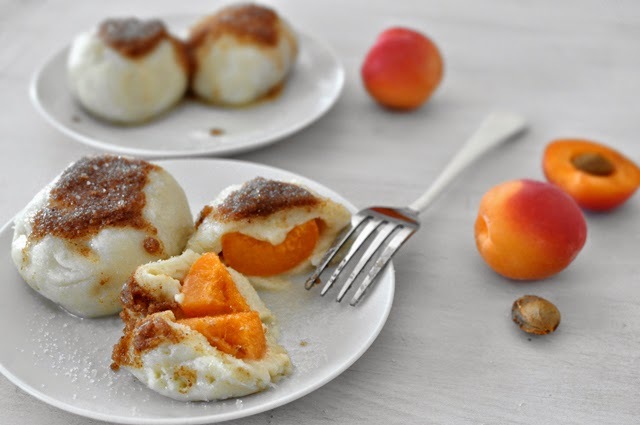 I cannot decide do I like them better with plums or apricots, so whatever looks good at the store or farmers market is what ends up filling these beautiful dumplings. 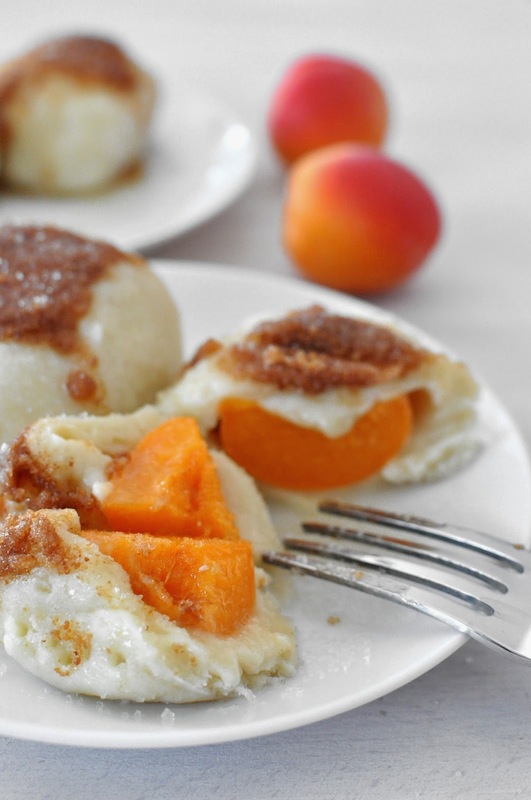 Today it was apricots and these dumplings were divine! You can treat this like a dessert, but they are so filling that we just have them for dinner and no one can eat anything else afterwords. 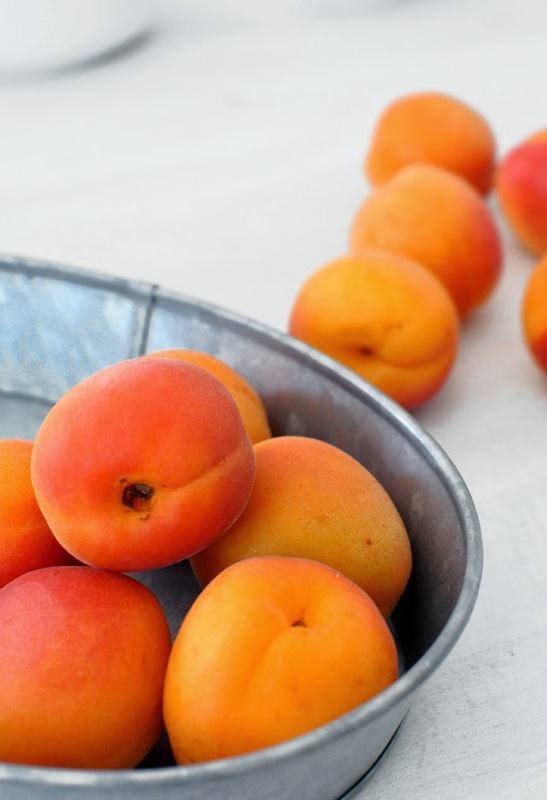 They are fairly simple to make and oh so good! For the plum version go here. First I boil the whole potatoes and once they are done and cooled just a bit I peel them. Then I put them through the potato ricer and make a little hill with a hole in the middle. In it I put eggs, butter and 1/4 tsp of salt. 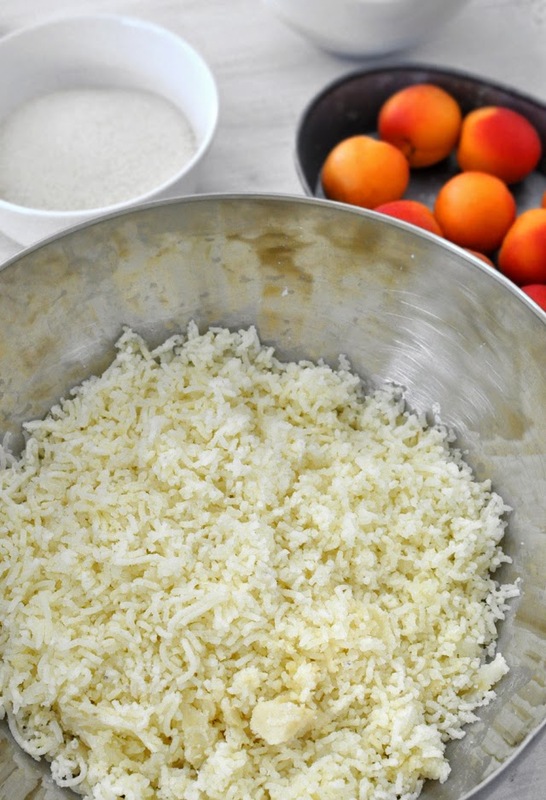 With your fingers start mixing it all together and slowly you start incorporating flour into it. How much flour you will need depends on how much potatoes will take, so just start with a cup or two and go from there. 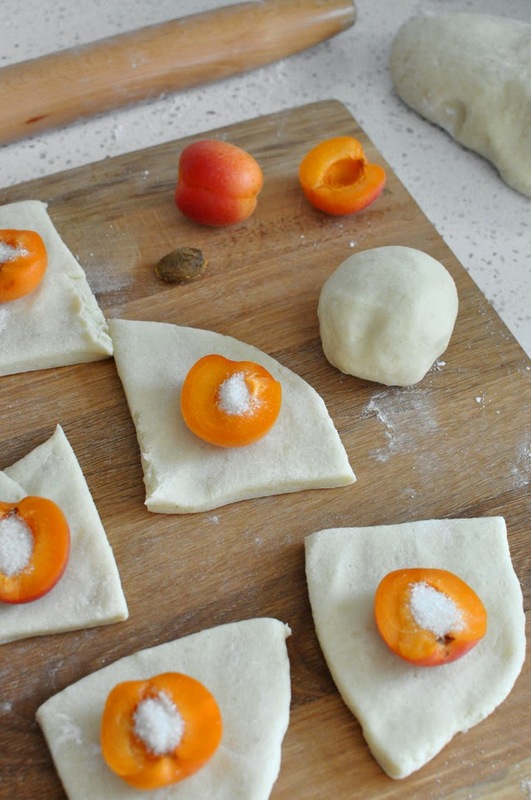 You just need the dough to stop being sticky, the less flour you use the better dumplings will be. Kneed the dough for good 5 minutes and then let it rest for 5. Roll it to 1/2" thickness and cut into squares about 3x3 inches. 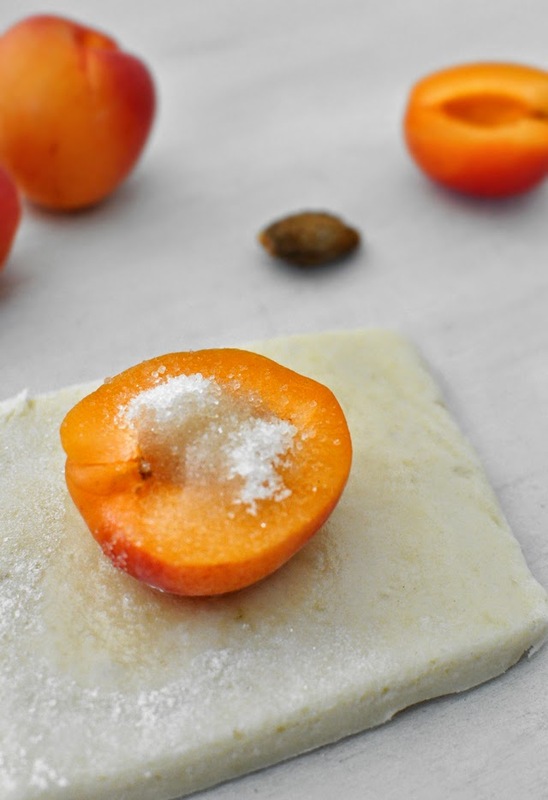 On each square put one half of an apricot with 1 sugar cube or 1 teaspoon of sugar in it. 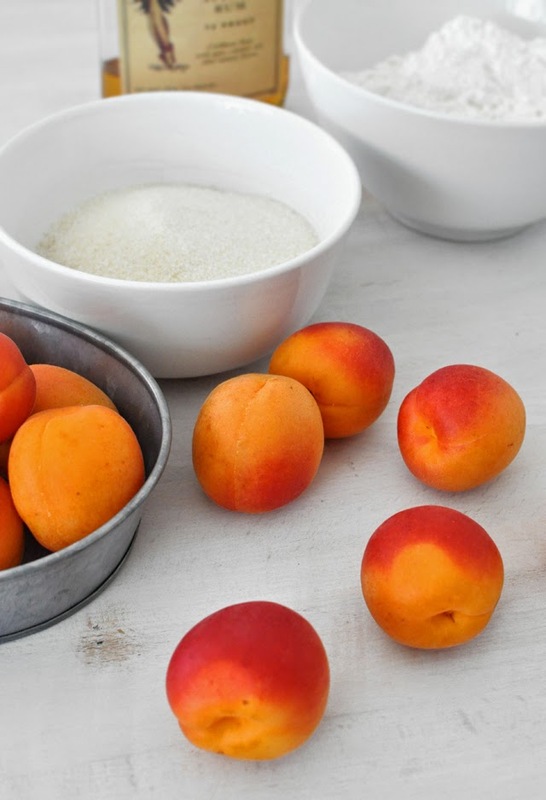 Pour a drop of rum extract on the sugar and then pull the dough over the apricot. Form a ball and roll it making sure it is sealed good. I like to use spiced rum that I add a teaspoon of rum extract to and use that for pouring on the sugar, I then use a bit more than a drop, more like 4 or 5 drops. In a large pot boil water with salt and then lower the heat to medium, like you would for cooking gnocchi. Put a few dumplings in at a time (I put 6 at a time) and boil until they swim on top or for about 10 minutes. When they darken just a bit they are done and this is what you pour over your cooked dumplings. Serve with some extra sugar on the side and enjoy!